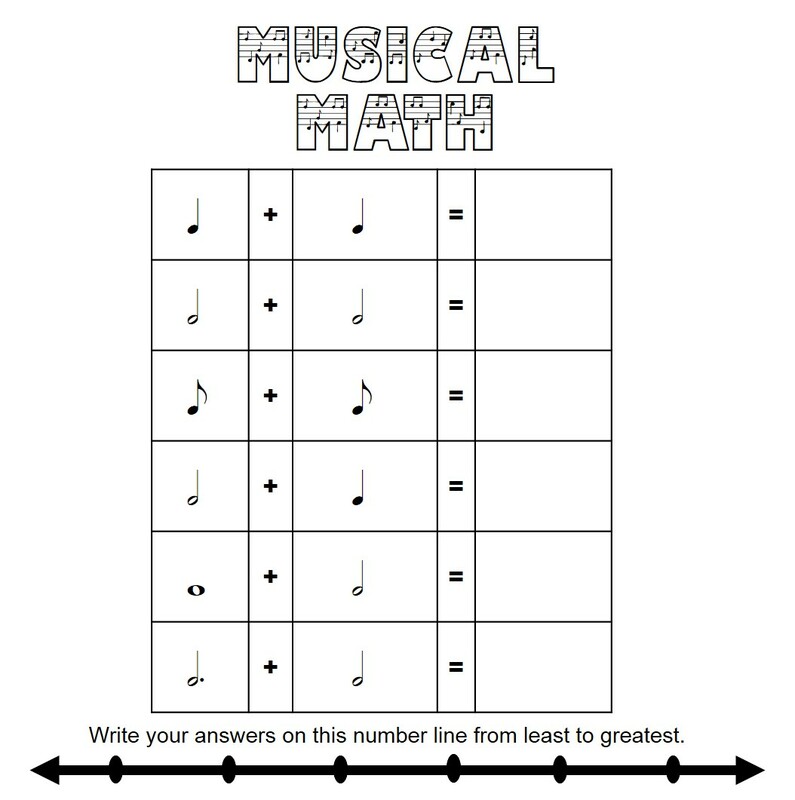 Musical Math – Part 2 FREE DOWNLOAD! Here is where things start getting interesting in the land of musical math! I find that often students really don’t understand note value until they have a chance to use the relative values we assign within the context of math. Experienced musicians quickly double or half, or add a fraction to the value of our notes without a thought. Before this happens, students need the opportunity to slow it down and relate this automatic response to something they already have experience with….. MATH….. The number line at the bottom of the page made my campus math specialist VERY happy and it was another nice way to reinforce the relative value of notes.